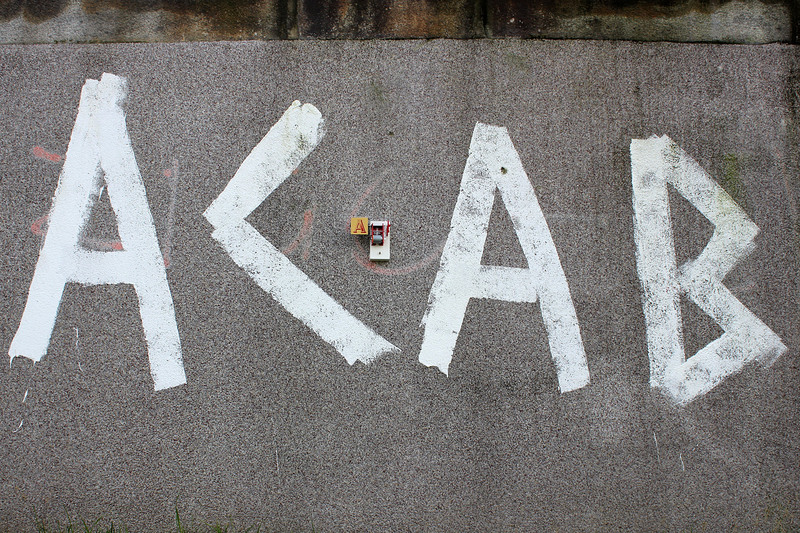 The acronym A.C.A.B. is often found as graffiti on the walls of the city and is used by many youth subcultures in its various forms and backronyms. This electromechanical version of A.C.A.B. is an ironic allusion to the various (mis)interpretations of these four politically charged letters. 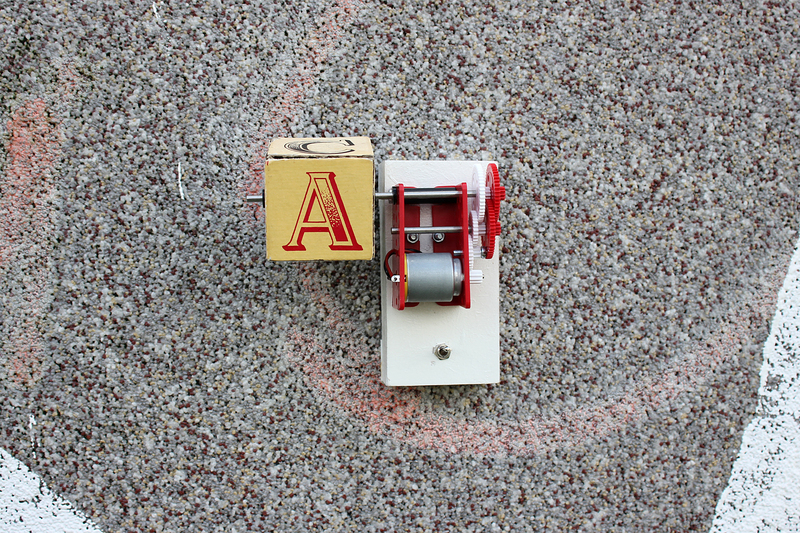 The small object consists of a letter cube in combination with an electric motor. When a small switch is turned on, the cube begins to rotate and the text A.C.A.B. becomes visible.